Every nine seconds, a woman becomes a victim of domestic violence in the United States. The laws don't do enough to protect these women and their children from the abuse, which will always escalate. Detective Jessica Warren understands all too well how vulnerable women are in abusive relationships. And she's not going to stand by and watch as innocent victims are injured, or worse. 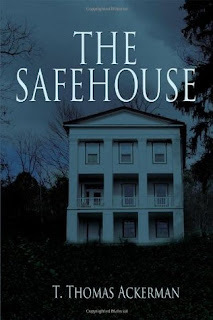 The Safehouse is the story of Jessie Warren and the closely knit network of powerful women who aren't willing to allow abusive men to hide behind inadequate laws. It's the story of the victims she helps, some of whom learn to break out of the patterns holding them trapped. And it's the story of how Jessie navigates the police system with pragmatism, intelligence, and heart to extend a helping hand to women in need. But with all the time and emotional energy she spends helping others, will she be able to maintain her own life balance? And will she be able to outsmart the one member of the police force who doesn't approve of her unorthodox methods? True to life and riveting, The Safehouse will take you on a compelling journey to justice. The author is donating 25% of royalties from this book to the National Coalition Against Domestic Violence.